This year marks the The 75th Anniversary of Batman. To celebrate this iconic superhero, Warner Brothers has been releasing a series of animated shorts. The first one, “Batman: Strange Days,” debuted on Cartoon Network. 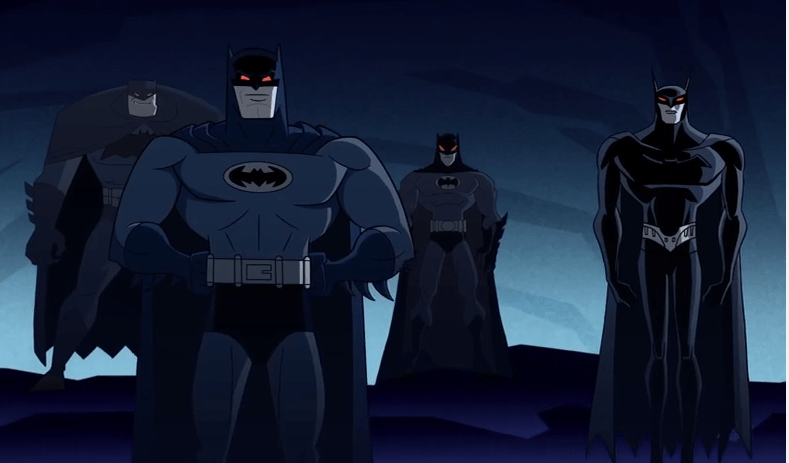 This clip, by artist Darwyn Cooke, features fan-favorite Terry McGinnis as Batman Beyond. He and Bruce Wayne team up to fight Batman’s most formidable foe – himself. DC is also releasing a new animated Batman movie, “Son of Batman,” on DVD and Blu-Ray. Click here to see the trailer.